← Kendall goes to the aquarium. 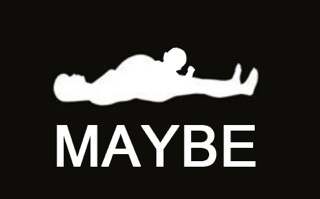 A visual guide on when to ask a woman if she is pregnant. Having a pregnant wife you get to witness what seems like every other person ask your wife “when are you due?” I know that they are harmless questions, but at what point is it ever ok to ask a woman a question that pertains to her growing stomach. 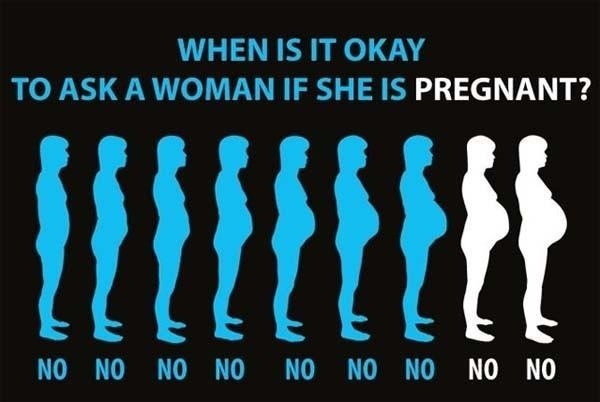 My wife showed me a few picture visuals on when it would be ok to ask a woman if she is pregnant and it made perfect sense to me. So I pass this knowledge on to my fellow-man and hopefully they can avoid a potential uncomfortable situation. This entry was posted in Baby stuff and tagged Greeneville, pregnant wife, stay at home dad, stay at home parent, tn. Bookmark the permalink.